Light 'em up! The Benefit of this fabric LED Wallbox light box is that it is completely portable. LED Light boxes traditionally in the past have been perfect for retail and stationary displays. 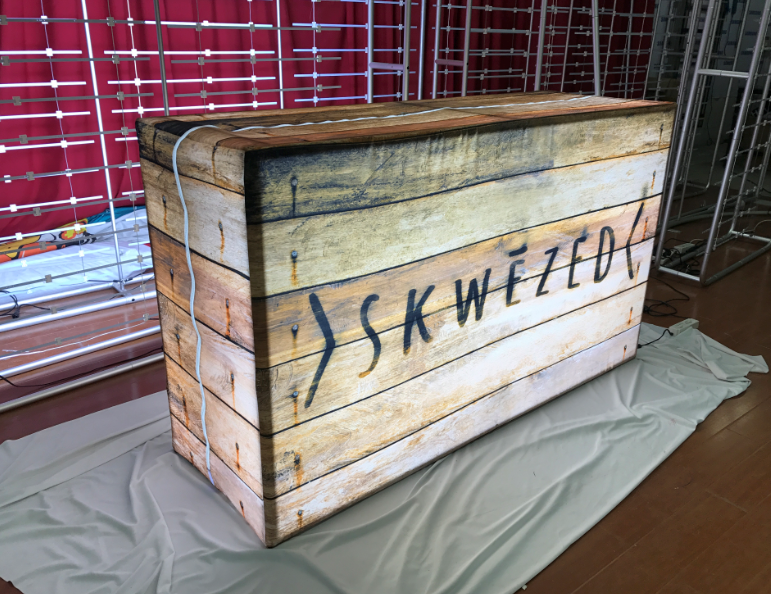 Now it is completely portable, and at 4x8ft, fits right in to light up the corner of your retail store, trade show exhibit space, walkway, name it. Free ground shipping throughout North America. Please note your voltage 120V or 240V and the shape of your electrical outlet. 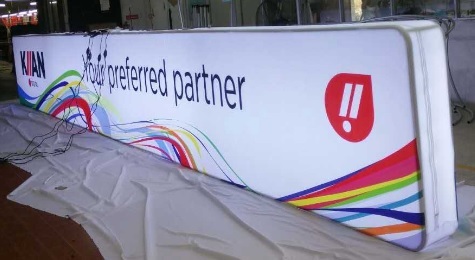 Quick and hassle free set up for retail outlets, trade show events and more. Our Portable Fabric LED Wallbox light box comes with a replaceable graphic that can be single or double sided. It’s unique 1ft depth allows for 2 sets of LED Strips to hang down the middle illuminating your custom printed LED fabric Wallbox light box for rich and vibrant colors that will get your brand & message noticed. The 8x8' Wallbox's portability allows it to fully collapse and store into a small carry case which is included in the price. Optionally you may wrap the hard shipping/storage case and use as a trade show table or podium. Production time: 4-days upon approval of a digital proof. *These unique, portable LED Wallbox light boxes can now be custom-built to any size. Contact us, let us know what you need.